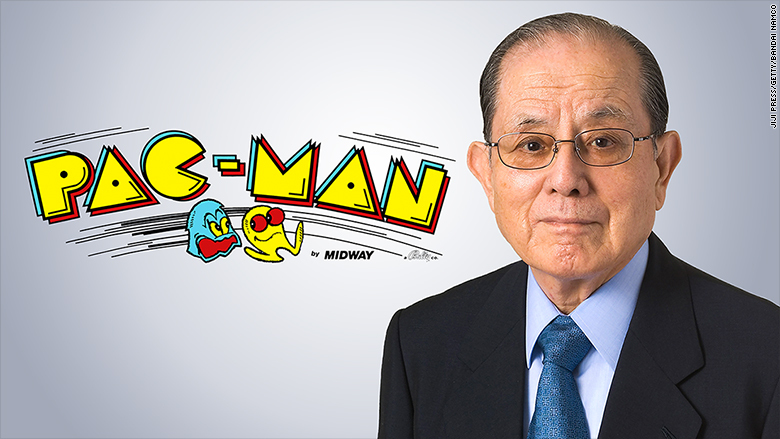 The arcade trailblazer known as the Father of Pac-Man has died at 91. Masaya Nakamura founded Namco, the Japanese company behind the wildly popular dot-munching video game, in 1955. It began with two electric horses on the roof of a department store. The company became Bandai Namco after its merger with a gaming company in 2005. Nakamura died Jan. 22. The company announced his death on Monday. Pac-Man was designed by video game engineer Toru Iwatani and released in 1980 to adoring audiences. The game sold more than 100,000 units in its first year in the United States and was named the world's most successful coin-operated video game by Guinness World Records in 1981. The company estimates Pac-Man has been played more than 10 billion times. Pac-Man has been adapted for cell phones and Nintendo, XBox and PlayStation. It has even inspired an animated film, TV series and merchandise and memorabilia lines. According to Bandai Namco, the idea for Pac-Man's iconic design was inspired by pizza. The name comes from the Japanese phrase "paku paku," to describe the sound of the Pac-Man eating dots. A private wake and funeral were held for Nakamura, and a separate memorial is being organized.